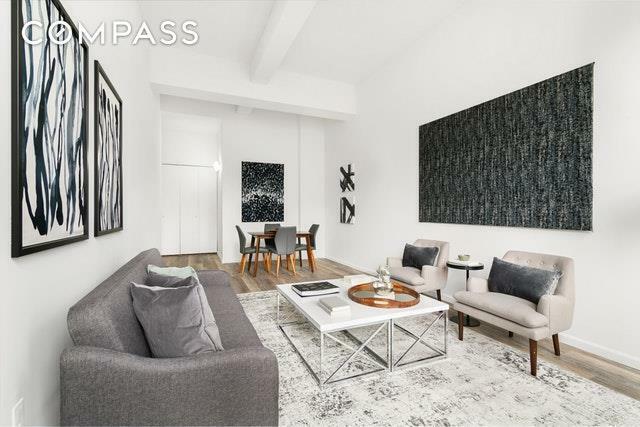 This exquisite pre-war Co-op, is conveniently located between Brooklyn Heights, Downtown Brooklyn and Boerum Hill near all transportation and stores. Extremely close to the 2,3,4,5, N+R trains at Borough Hall/Court Street, A,C,F,R at Jay Street Metro-Tech and F+G trains at Bergen Street, and a short distance to Trader Joe's, Sahadi's, the movie theater, amazing shopping, great restaurants, The Brooklyn Heights Promenade, Farmer's market and more, this prime Brooklyn location is extremely desirable on every account. The immaculate building is a former law school, packed with history and charm and run by the most professional and attentive staff. Amenities include a 24 hour doorman, live in super, Roof-deck, laundry room, Storage and bike room. 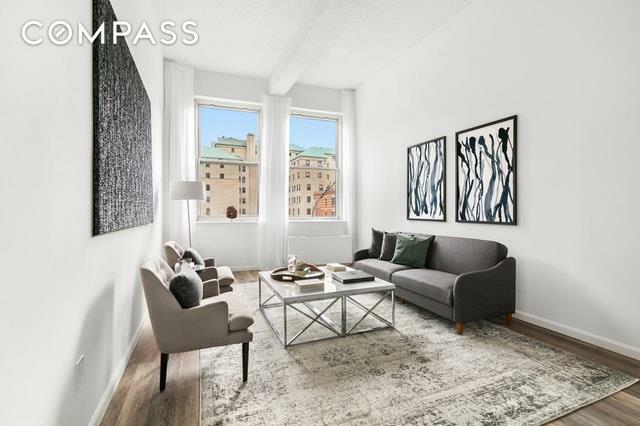 Apt 7E is a large 1 bedroom apartment with soaring ceilings, big windows and an open view. These fabulous features bring lots of light, airiness and the chic comfort of lofty spaces.Simple and efficient layout, there is plenty of space for an open dining/living area. 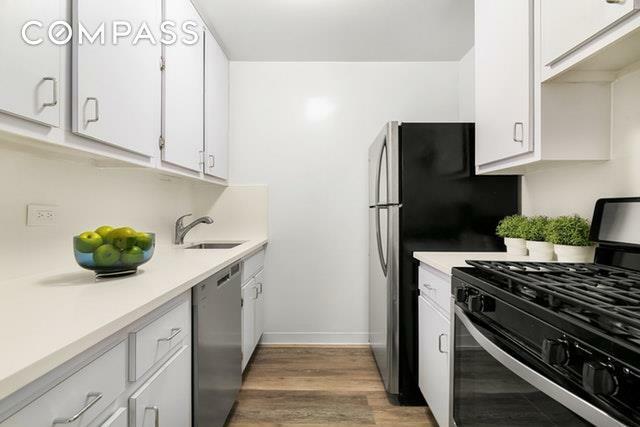 The bedroom is extremely comfortable and can fit a king sized bed and additional furnishings.New renovations include white washed wide plank flooring throughout the apartment and brand new stainless steel appliances.This is the perfect place!